VyprVPN announced the launch of more additional servers from the end of October to the first week of November. All VyprVPN subscribers can now enjoy greater access flexibility in Europe, Asia and Australia. And VyprVPN users are anticipating the release of VyprVPN 2.0. By popular demand, a new VyprVPN server in Europe was launched on October 29, 2013. VyprVPN users gave many suggestions for new server locations. But Reykjavic, Iceland was chosen for several reasons. Iceland has come to be known as a safety zone for outspoken people. In 2010, the Icelandic government officially gave journalists greater freedom and gave their sources greater protection. The country is also provides safe virtual storage space for people who are under scrutiny, such as civil and human rights advocates. Iceland is a new location for VyprVPN. The Reykjavic server is a proud addition to the VyprVPN family of server clusters, providing many people with the security they must have from snoops who are hunting them down. 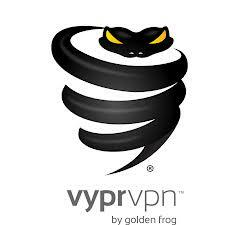 It also serves general security purposes for all types of VyprVPN users. Another new location for VyprVPN servers is the Philippines. Asian VyprVPN users will be very happy with this new server location. Not many VPN providers have this location available. So on October 31 this year, VyprVPN opened the server cluster in Manila, Philippines. The Philippines was not considered an important location in past years because of the relative freedom that Philippine netizens enjoyed. But because of the new CyberCrime Prevention Act proposed last year, it has become a good candidate for VPN services. The law severely restricts online freedoms of speech, criminalizing any anonymous posting of critiques on the internet. Many websites have already been taken down by the Philippine government as a result. Online communications and social media content are closely monitored as well, and there is no need for a warrant before users’ online activities are surveilled by ISPs and other censors. Filipinos have been protesting the law since the first draft came out under a different name, and they continue to push back to maintain online freedoms. But VyprVPN is ready to step in to provide free and open internet to netizens in the country. The new Manila server cluster will also give other Asian netizens greater options when selecting server locations. Just last Tuesday, VyprVPN launched an additional server in Australia. Short after the launch of the popular Sydney server, VyprVPN followed up with this new Aussie location to keep up with the large population of internet user in the country. There is soon to be a new server in Perth as well, so stay tuned for that announcement. Most Australians have access to the internet, so there is a very large number of netizens there. Actually, with 9/10 people plugged in, this is one of the highest densities in the world. In addition, Aussie netizens have been experiencing greater restrictions on internet use. The trend of internet surveillance and limitations on online freedom is spreading. About a year ago, ISPs in the country began using internet filters as part of new regulations on internet browsing. The new Melbourne server will certainly help people out when they need to access the internet securely for more private surfing. o Thailand – Bangkok New! o U.S. – Washington, D.C.
All the new servers can be accessed on any VyprVPN subscription and can be used on OpenVPN, L2TP/IPSec and PPTP connectionsFrom desktops, the new clusters will appear on the server list on start-up. For mobile, log out then back in to see the new servers pop up on the list. For manual setups, just change the set hostname to the server you want to connect to. For Iceland, enter “is1.vpn.goldenfrog.com”. For the Philippines, enter “ph1.vpn.goldenfrog.com “. And for Melbourne, enter “au2.vpn.goldenfrog.com”. This brings the VyprVPN country footprint to a total of 40 countries around the world. There are no limitations on changing servers or data transfers. VyprVPN has more than 200,000 IPs for subscribers to use. With so many options, connecting will never be a problem. This is done so that all VyprVPN users will always be provided with open and free internet, anytime, anywhere.